Camperdown is a historically significant rural town in southwestern Victoria, Australia, west of the state capital, Melbourne. 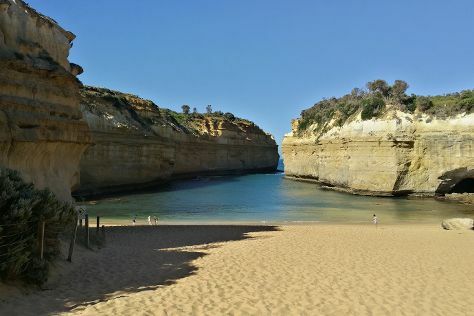 Take a break from the city and head to Johanna Beach and Port Campbell National Park. Explore Camperdown's surroundings by going to Port Campbell (Loch Ard Gorge, Apostle Whey Cheese, & more). Next up on the itinerary: have fun and explore at Camperdown & District Heritage Centre. To see maps, where to stay, reviews, and other tourist information, refer to the Camperdown online journey builder . Finish up your sightseeing early on the 31st (Fri) so you can travel back home.